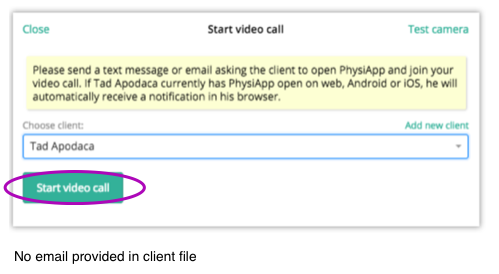 As well as accessing the call button in the clients file, Physitrack also allows you to call your client directly from the "Connect" menu. Click on the "Call client" button to the top right corner of the page. Add a new client or select an existing client from your Physitrack caseload. (You can also test your camera prior to a call). Click the "Start video call" button. 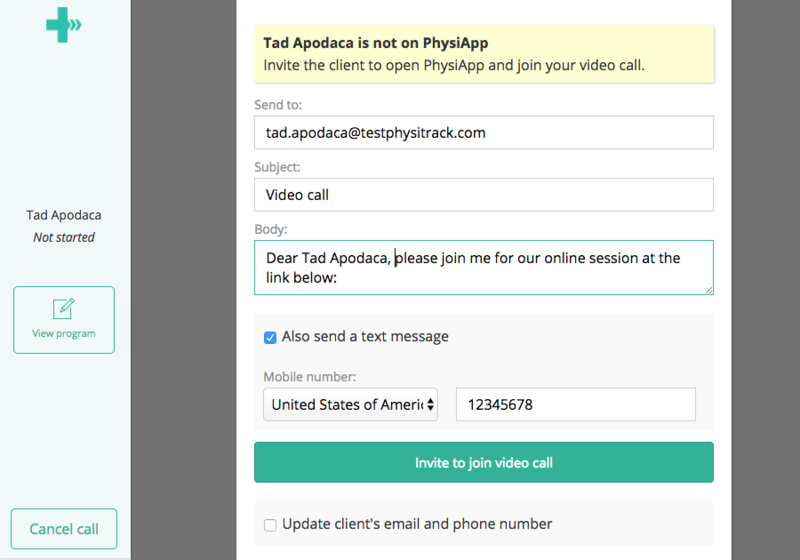 If a client’s email address is provided in their Physitrack client account, you can send on-boarding instructions prior to the call. 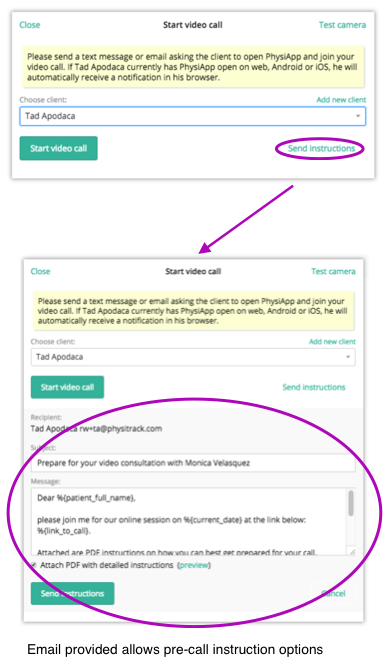 If your client is not logged on to their PhysiApp account, a pop-up box will appear asking you to send an email +/- SMS reminding them of their appointment. This message will automatically contain their access code. Await your clients arrival to the call in this window.